Unlocking the book of Esther for Tenney shows how a peasant became a princess and how God makes the same offer to us. Two cassettes, abridged. Have you ever had a "that night" or a "that day"? A point in time before which things were going wrong, but after which things began to go right? What are the ingredients for a "that night"? What is mixed into the recipe? Understanding what goes into creating that moment of divine favor was Esther's ultimate secret. She learned how to find favor with the king. Success is what happens when preparation meets potential. Many success stories begin with the phrase, "That night..." or "That day..." These stories often begin with fear but end with favor. Esther's pattern of preparation teaches us how to create that moment. 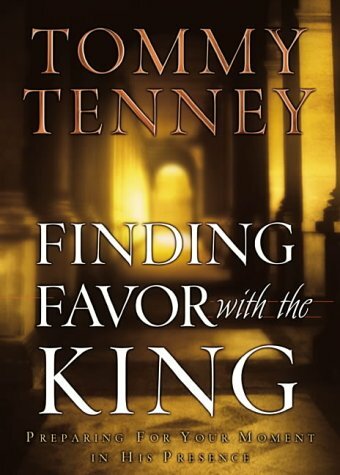 Finding Favor With the King is critical to your future with your King. This book lays out the steps for you to prepare for your moment in His presence.